This week’s update is another short one, and late as well. At least I have good news to report! I lost 2.1 pounds this week for a total of 72.7 pounds! My clothes are starting to get quite loose now, but I’m trying to hold off on buying new ones for as long as possible, since I still have a ways to go until Inreach my goal. 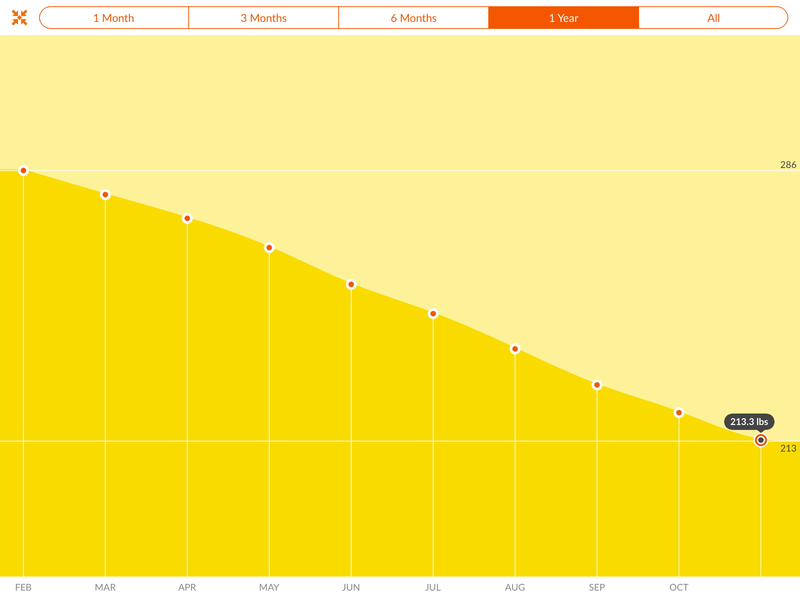 Since I don’t have a recipe to share this week, I thought I would share with you a screenshot of what the chart from my WeightWatcher’s app looks like to show how far I have come since February. 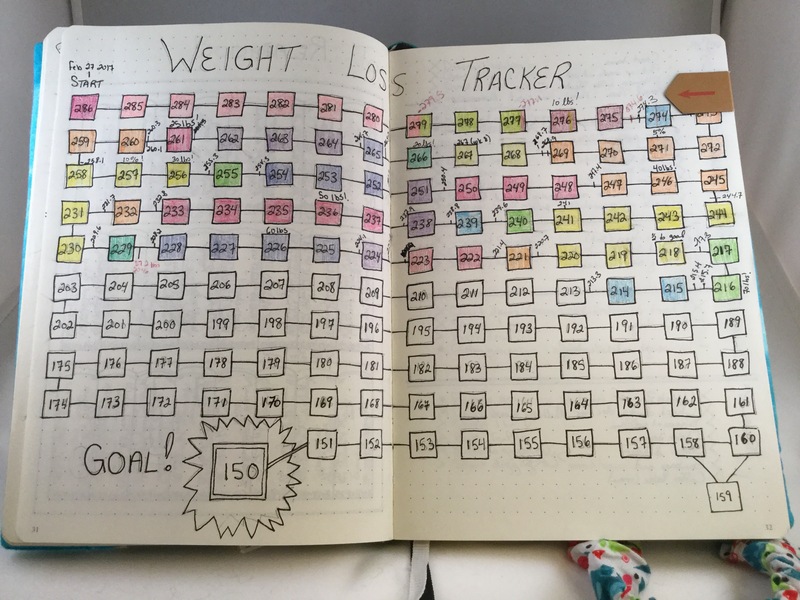 Another way I try to keep myself motivated, and keep track of my weight Loss is with this chart that I made in my bullet journal. I usually write in, on the lines between boxes, what my weight is and as I reach or pass a whole number it gets coloured in. I also added a few milestones to keep me motivated to keep moving towards my goal, although I‘m noticing now that I didn’t really add any past the halfway point, so I guess I need to update it! When I first started this journey and looked at this chart it seemed like an impossible goal, but I’m much more optimistic now. That’s it for today. Do you have any suggestions for tracking goals, weight related or otherwise? Next postFinally Finished (something) Friday!!! It has got to be so fun to color in those little squares, my goodness you are closing in on 75 pounds. What have you noticed that’s different in the past few months? That might be interesting to look back and read. Good idea! I will have to think about that and maybe build a post around it. Thanks! Colouring the squares definitely makes it easier to see how much progress I’m making. It’s hard to visualize with just numbers. Yes I know how that goes! While I was losing I allowed myself one new article of clothing every twenty pounds just so I’d have some sort of celebration of all the weight lost. I will need a new summery wardrobe for my trip in February so I’m trying to hold out until then, lol. How fantastic, you’re doing so well! You are so motivational, I love your bullet journal spread 😊 totally rooting for you! Thank you! If you are on your own journey, I wish you success!